C.A.M.P. 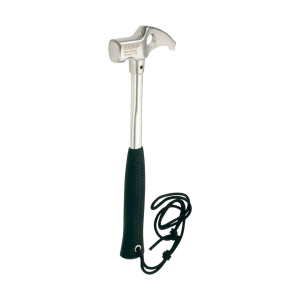 Active Protection Brenta Piton Hammer Compact 850. 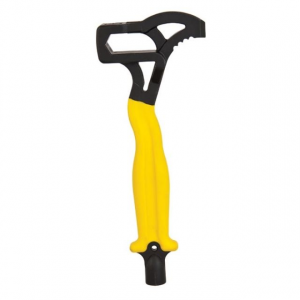 The pick is designed for cleaning cracks pasting heads and levering out pitons. 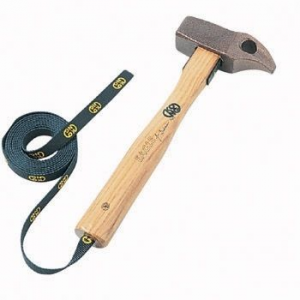 The chromoly steel shaft is indestructible and the thick rubber grip dampens vibrations. Beat pitons and clean aid climbing gear with Camp USA's compact, lightweight Brenta Piton Hammer. The large face gives a good heft when you're driving in pitons, and the pick cleans cracks, heads, and pitons better than most stopper tools. 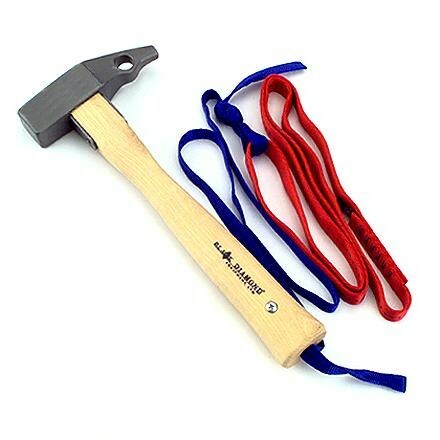 The Brenta Piton Hammer from CAMP is a compact hammer, built with a large face and good heft in the head for quickly driving home pitons. 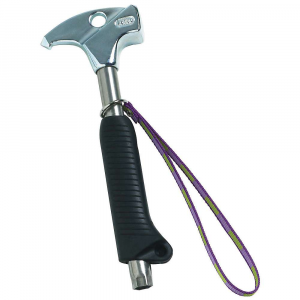 The pick is designed for cleaning cracks, pasting heads, and levering out pitons. 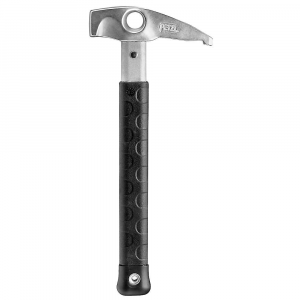 The chromoly steel shaft is indestructible and the thick rubber grip dampens vibrations.